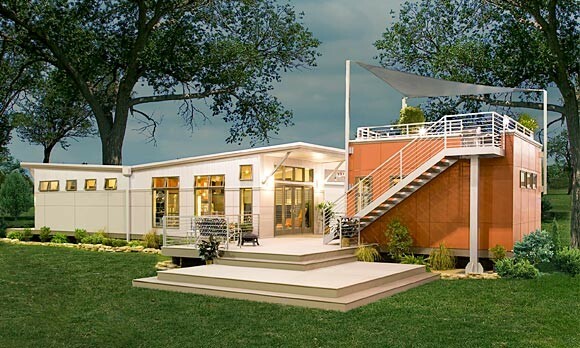 SMPLy Mod Prefab Homes creates modern, affordable modular homes for buyers throughout North America. 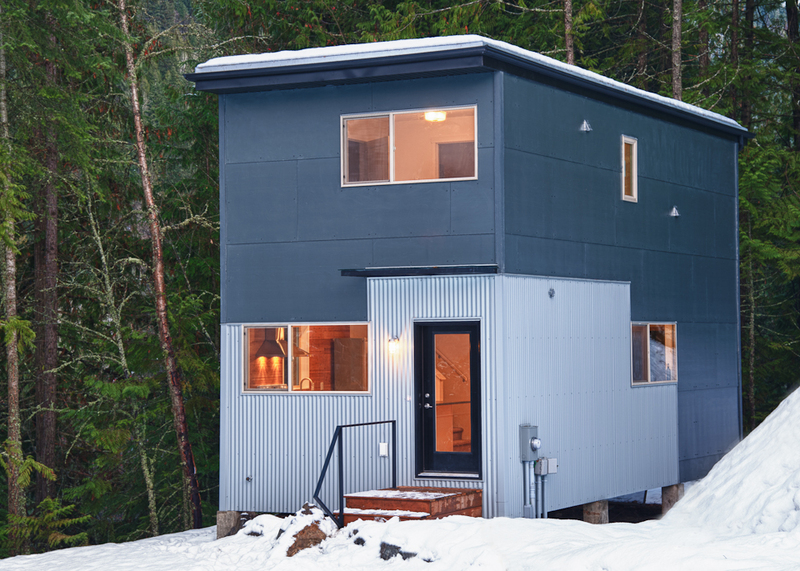 The two bedroom prefab home is 984 square feet and was assembled in a climate-controlled factory environment with four principles: Livable, Sustainable, Practical, Modern. Features of the custom prefabricated home (Germany) are seamless transitions between spaces, strong geometries and drastic angles. That prefab house can be delivered anywhere in the world and assembled in a few weeks. The structure meets the highest standards in sustainability, craftsmanship and design. That custom prefabricated home is classified as a low-energy building as it successfully complies with the German energy-saving standards, which indicates less than 40 kWh/m²a heat consumption.